Lean Tip #556 – Learn more about Lean thinking and leadership by reading books. There is an unlimited supply of highly rated books available to help you succeed. I have highlighted a number of notable books on this site. Start your collection today. Lean Tip #557 – Start a company library of books that exemplify your philosophy. Many companies have their own libraries and training that are available for the asking. You could even hold a lunch and learn session where a group gets together to review a book that the group is reading collectively. Lean Tip #558 – In our digital age there is a wealth of knowledge online. Who hasn’t Googled to learn more on a topic? A simple online search will reveal a wide range of online webinars and training courses, many of them free or low-cost. This can be a great way for you to learn at your own pace and when it’s convenient for your schedule. 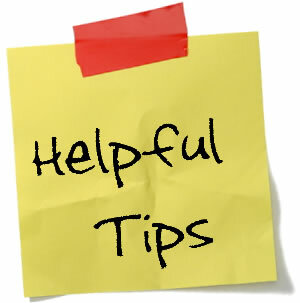 Lean Tip #559 – Joining a professional association can a valuable resource of knowledge and support. Industry associations and trade organizations offer a variety of training options, including conferences, seminars, certifications and more. There may be a cost associated with some of this training, and access to some of the resources may require membership. Sharing with like-minded people who have various experiences can create a support network for continuous improvement and learning. Lean Tip #560 – Learn more from listening to podcasts. Podcasts are becoming increasingly media savvy learners. They often include product information or interviews with experts in a particular field and tend to cover fairly narrow topics. Lean Tip #561 – Learn more from reading blogs. Online publishers are another great source for information to enhance your skills. I prefer my own blog but I continue to learn some much from other bloggers which I highlight monthly. Lean Tip #562 – Learn more by attending a webinar. Webinars are another area of increasing popularity for learners due to the flexibility of scheduling and the ease of attendance. Jeff Hajek and I have been offering webinars for about a year now. If you missed any you can see them replayed here. Lean Tip #563 – Professional conferences are good for networking and learning. Lean Tip #564 – Networking with other Lean thinkers benefits everyone. Local groups that share your interest in a particular topic, offer a great forum to learn and share information for little or no cost. Special interest groups within these groups can offer further topic specialization and can be a tremendous way to learn or be mentored. Lean Tip #565 – The value of tacit learning, learn by doing, should not be underestimated. Human beings can definitely learn by hearing, reading, watching, seeing, and analyzing…but when it comes to getting results you simply cannot learn better than to learn by DOING. You learn best by doing. Lean Tip #566 – An improvement process is one of the fundamental elements in any quality management system. An improvement process presents a series of steps to think about and work through. These steps help you ask questions, gather information, and take actions effectively and efficiently. Thus, an improvement process provides a framework that guides you from the initial improvement to successful completion. Lean Tip #567 – When making initial plans try setting milestones backward. Do you have a deadline for finishing? When do you want to have a solution ready to put in place? When will you have finished studying how things are now? How much time will you allow for gathering customer input? Lean Tip #568 – Assess the current state by defining the process, collecting and analyzing data. Start with a simple flow chart that shows the big picture, then draw one with more detail. Try considering the current state from your customer’s point of view. Carefully identify inputs and outputs to capture interfaces and cross-functional activities. As much as possible, involve people who do the process. Lean Tip #569 – Don’t jump to solutions when defining problem. Many teams have an almost irresistible urge to jump to solutions at this point. Often, a problem statement is really a premature solution in disguise: “We don’t have enough people.” It is an important role of the facilitator to keep the team focused on problems and causes until both are well understood. Lean Tip #570 – Think boldly and creatively when envisioning the ideal state. Do not take anything for granted; question all assumptions. Lateral thinking can be very powerful. Expand your thinking and identify many possibilities. What would the best look like? What are all the things you could do better?